Customized lapel pins are one of the most popular media for promoting businesses, products and ideas. 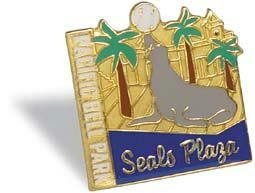 With customized lapel pins (virtually) nothing is impossible! On the following pages, you can see and read the inexhaustible list of variations on offer and the advantages of each of the different manufacturing processes. embossed copper quality pins oder customized embossed iron lapel pins, soft enamel lapel pins or customized laser printed pins. On request, we can provide all types of alternative pin fastenings for your customized lapel pins. Each of our logo pins undergoes strict quality controls, and is delivered, as ever, swiftly and promptly! Ask us for a no-strings-attached quotation for your customized lapel pins!